Copper is subtle, classic, and the most under-appreciated of the metallics. It’s presence in any room design, whether large or small, bring warmth and dimensionality. We’re so excited to see it make a resurgence this season! Just check out our Bartlett Bronze cordless lamp, when the light hits this hand mixed metallic glaze, the copper in the glaze is highlighted. And what makes a great pair next to our lamp are these fantastic copper printed pillows on organic hemp we saw on Wanelo. Copper Cans and Containers for Storage: You don’t have to commit completely to copper to bring this season’s trend into your home in clever ways. No home makeover necessary! Like other metallics, copper is versatile and can easily blend with existing decor, colors, and even other metal finishes almost enhancing your color scheme. Vintage cans and containers are an easy find at any antique store local to you. 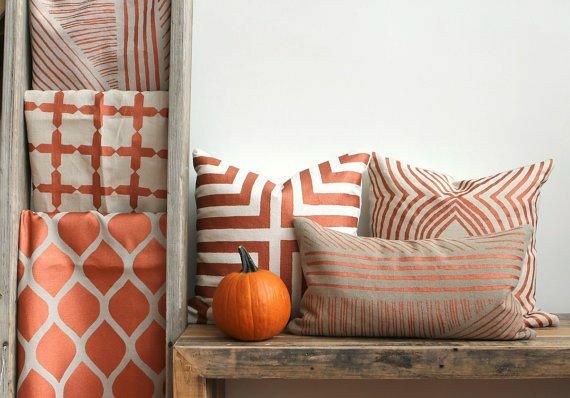 Filling them with everyday items will bring a traditional holiday feel to your kitchen, office, or living room. Like this example we found on the Weekday Carnival Blogspot. Copper Candles: You don’t have to put in too much work to get the look! Plenty of brands and other boutique companies are jumping on board to bring us perfect copper home accessories. 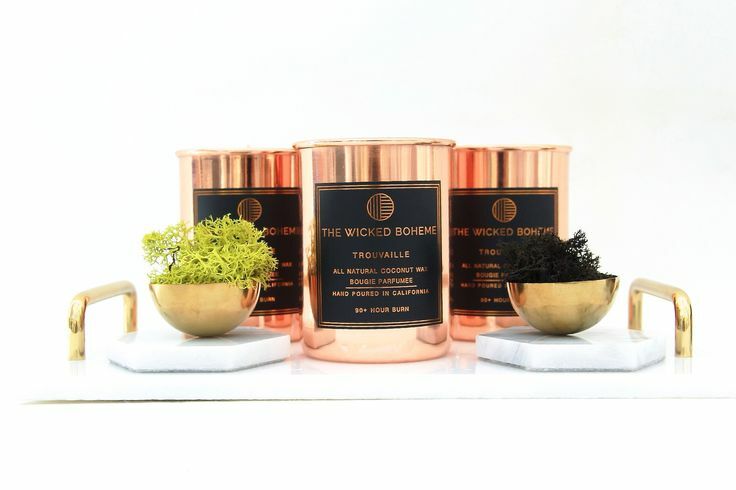 At Modern Lantern, we adore the 100% coconut wax copper candles from The Wicked Boheme. They are the perfect touch to almost any room in the house and are formal enough to display at your holiday festivities. Check them out!